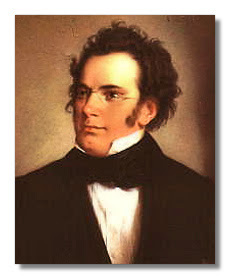 Franz Schubert was an Austrian late classical/early Romantic composer who, like Mendelssohn, is known for his beautiful melodies in his pieces. Like many of the great composers, Schubert died at very young age of 31, but despite that he was blessed by God with the talent to be a prolific composer of so many wonderful melodic pieces in all genres. We, the lovers of classical music, were also blessed by God as he give us this wonderful composer and his wonderful music. On this hopefully blessed day for everyone, please turn up the volume and enjoy Schubert's Rosamunde Overture and also one of his many beautiful impromptus, the meditative Impromptu #3 in G-Flat Major.